On our campus there lives a microbe that can poop gold,” says Danica Lewis, collections and research librarian for life sciences at North Carolina State University (NCSU) in Raleigh. “We just don’t know where it is.” That’s how, last spring, Lewis enticed NCSU students into joining a Wolfpack Citizen Science Challenge, the university’s periodic call for student engagement in ongoing research, which saw them looking for samples of Delftia acidovorans, a bacterium known for its curious ability to produce tiny pellets of 24-karat gold after feeding on a solution of gold chloride. The library furnished students with kits that they used to gather soil samples around campus, which were then returned to NCSU’s biotechnology lab for extracting DNA to locate the “gold-pooping gene,” as Lewis calls it. They then took the samples with the most Delftia and sequenced a portion of the gold genes at the Genomic Sciences Laboratory. With those sequences, NCSU Libraries led a bioinformatics workshop where participants conducted further genetic analyses. “Thanks to our incredible volunteers,” Lewis says, “we were able to collect more than 200 samples from all over campus.” Some of the analyses even indicated the potential presence of a previously unknown species of Delftia at NCSU. The Wolfpack challenge is one example of how libraries can collaborate with campus labs to achieve scientific results. Another way is to host a science café in the library, where people with similar interests take a deep dive into a specific topic and forge effective partnerships in an informal setting. The Ohio State University (OSU) libraries in Columbus, in collaboration with the scientific honor society Sigma Xi, have hosted a monthly science café in various campus locations since 2008. The cafés are open to the public, and in the summer kid-friendly cafés are held at the Worthington (Ohio) Libraries. Past topics have included animal cloning, Ohio forests, and puppy behavior. Organizer Danny Dotson, head of the OSU Orton Memorial Library of Geology, says that he has received many “requests for a repeat performance—even as our presenters were just winding up.” Most rewarding, he says, are the children who remember what they learned from a previous event and tell other presenters all about it. Faculty buy-in was crucial when Oberlin (Ohio) College Libraries partnered with the school’s environmental studies program in 2017 to host a screening of the documentary film An Inconvenient Sequel: Truth to Power, accompanied by a live nationwide Q&A webcast with its subject, former US Vice President Al Gore. Oberlin faculty shared information well in advance and submitted questions from students, one of which Gore answered during the webcast. Academic libraries are a natural habitat for encouraging science literacy on campus. The Oberlin chapter of the grassroots environmental group Citizens’ Climate Lobby was busy outside the Science Center’s lecture hall, engaging students in conversation and reinforcing the film’s message. Students wrote postcards to elected officials, telling personal stories about climate change and asking officials to reduce carbon pollution and mitigate global warming. 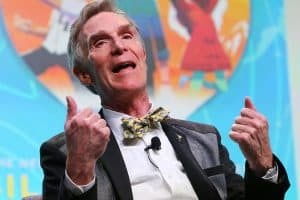 The University of Calgary’s Libraries and Cultural Resources celebrates science with its participation in Beakerhead, an art, science, and engineering festival held every September since 2013 at multiple locations throughout the city. Science Librarian Heather Ganshorn says that the festival gives the library an opportunity to promote its services, including its audiovisual editing booths, makerspaces, and virtual reality studio. 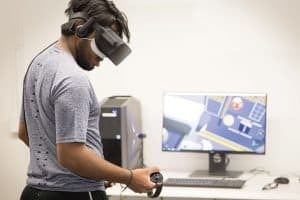 “We recruit faculty and science students from across campus and from our own staff who can demo maker kits, simulations, virtual reality, and other cool stuff,” Ganshorn says. This year the festival included wearable tech, robot improv puppet theatre, dynamic math simulations, and a 3D sculpting workshop. Social media is another venue for highlighting library resources and science musings. Becca Greenstein, STEM librarian at Northwestern University Libraries in Evanston, Illinois, is one of many who use Twitter to promote science-related library events, services, and collections. The Oberlin social media accounts function in a similar manner, often featuring science news beyond campus. Digital displays broaden the view from the library. Harvard University will use both mobile and fixed displays in its newly renovated Cabot Science Library to showcase research data from different labs around campus, including a solar wall from the Center for Astrophysics, according to Amy Van Epps, Cabot’s director of sciences and engineering services. 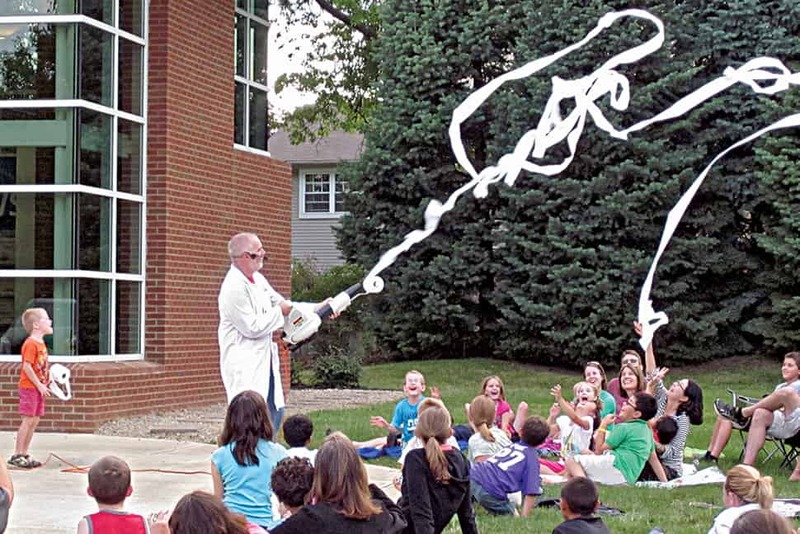 Academic libraries are a natural habitat for encouraging science literacy on campus. Creating excitement around science helps build the momentum for evidence-based decision-making that serves the common good. Update: A correction was made on November 16, 2018, clarifying the city of Calgary’s Beakerhead festival. ALISON S. RICKER is head of the Science Library at Oberlin (Ohio) College.